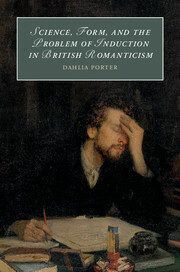 Bringing together studies in theater history, print culture, and literature, this book offers a new consideration of Romantic-period writing in Britain. 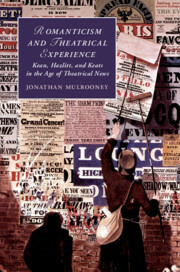 Recovering a wide range of theatrical criticism from newspapers and periodicals, some of it overlooked since its original publication in Regency London, Jonathan Mulrooney explores new contexts for the work of the actor Edmund Kean, essayist William Hazlitt, and poet John Keats. Kean's ongoing presence as a figure in the theatrical news presented readers with a provocative re-imagining of personal subjectivity and a reworking of the British theatrical tradition. Hazlitt and Keats, in turn, imagined the essayist and the poet along similar theatrical lines, reframing Romantic prose and poetics. 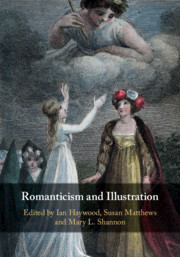 Taken together, these case studies illustrate not only theater's significance to early nineteenth-century Londoners, but also the importance of theater's textual legacies for our own re-assessment of 'Romanticism' as a historical and cultural phenomenon.